You know that voice in your head full of doubt and shame? You feel fine, then you see a Tesla, then you don't feel fine? That voice? WHAT IF THAT VOICE IS RIGHT??!!! Enjoy How to Hate Yourself! & Learn some helpful self-hate hacks. 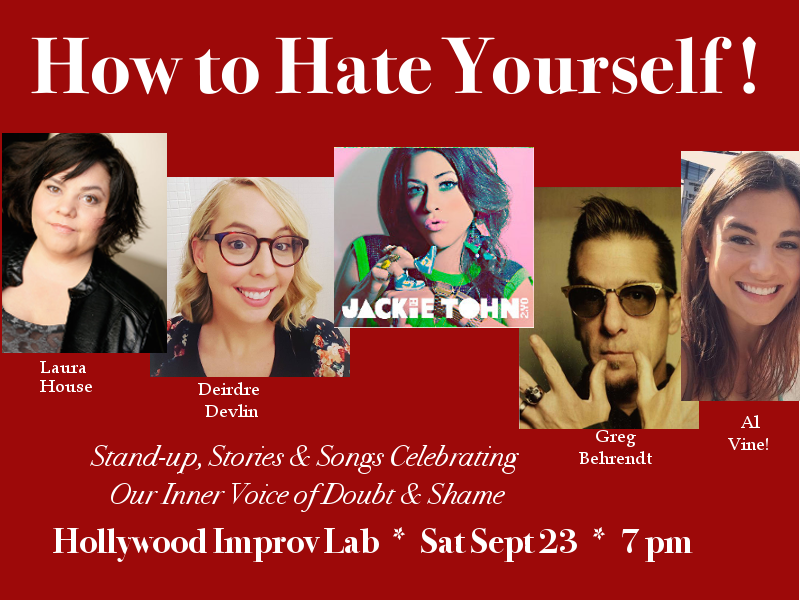 "How to Hate Yourself" is monthly at the Hollywood Improv. We've had GREAT comics like Laura Kightlinger, Dana Gould, Dulce Sloane, Cathy Ladman, Greg Behrendt, Laurie Kilmartin. & in the testimonial vid there's a nice endorsement from my favorite, Janeane Garofalo. "How to Hate Yourself" originally launched at the Hollywood Fringe Fest as a solo show. All me, all my mess. Huffpo called it "a riotous laughfest and a complete joy." Directed by adult-genius Craig Anton. 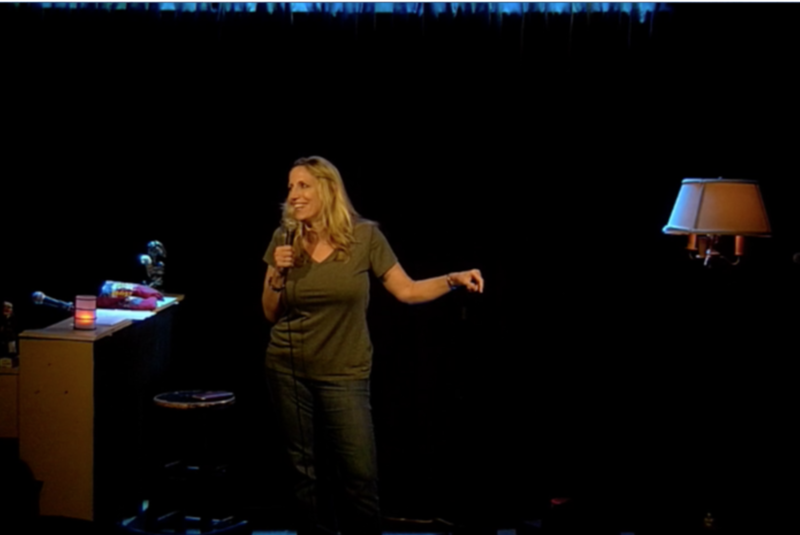 Here are clips from the sold-out show at Hollywood's Acme Comedy Theater. H2HY CONTINUES MONTHLY at the world-famous Hollywood Improv. Come see it LIVE! Where the best comics in the country tell about all the ways they hate themselves. You'll laugh, you'll cry, you'll never be sad again! I wrote How to Hate Yourself as a half-hour sit-com. Luckily, that script chosen by We for She & I got a ton of meetings for it. Katey Sagal came on as a producer and offered to play the lead. We had a staged a reading & it had all these rad people! Katey wasn't avail that night & Sharon Osbourne stepped in. Super fun!